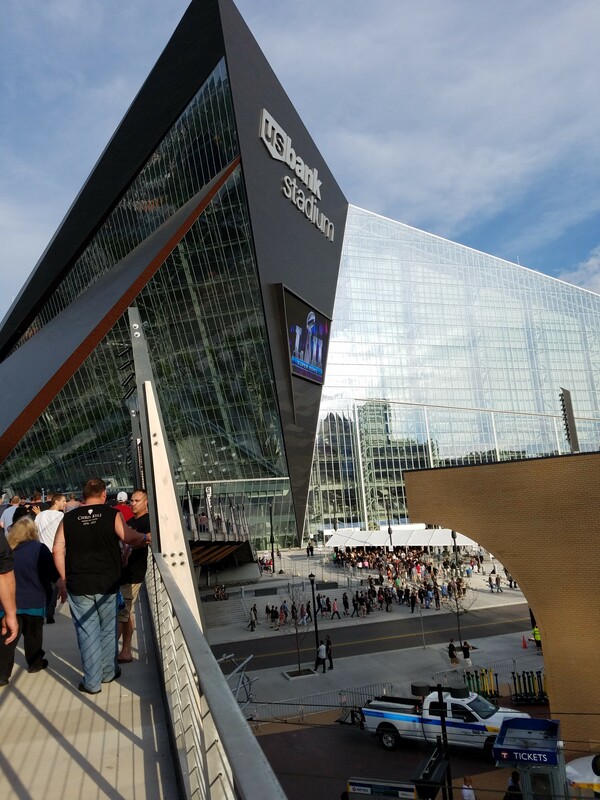 Caught Slash, Axl, Duff, Dizzy, and the rest of the crew at US Bank Stadium in Minneapolis on Sunday. Nice facility and band provided 3 hours of non-stop music and fun. If they come near your town, be sure not to miss them! New tour dates have just been added. So honestly, how do you rate his voice all these years later? All of us were pleasantly surprised Wolverine! 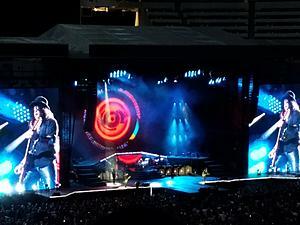 Very strong, the videos of the concert don't do justice to the actual sound quality of the show. Only cell phones were allowed with no special cameras for recording. 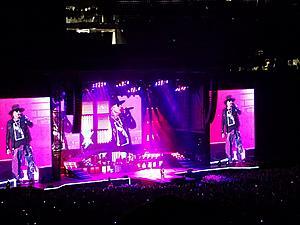 Remember, GNR has not performed for years and ALL of them are off the drugs. I think spending the weekend here in Minneapolis also helped. 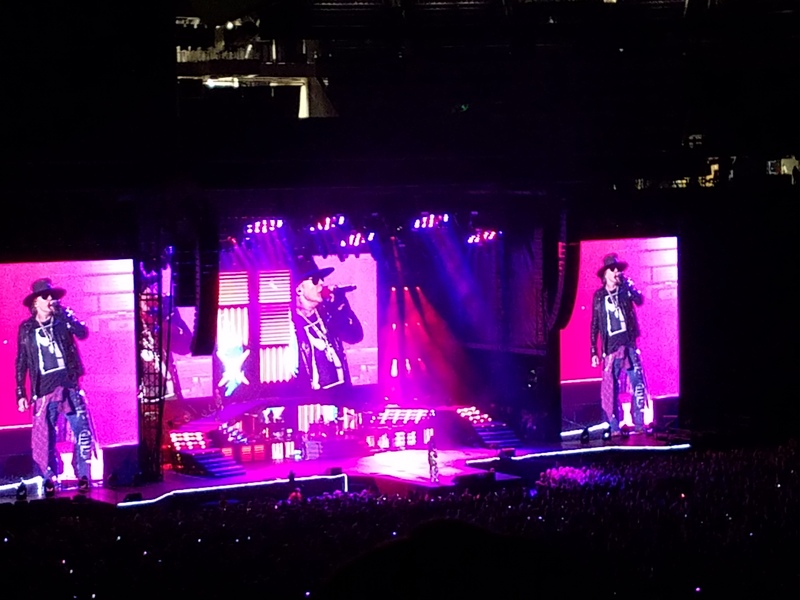 Axl was at the Billy Joel show at Target Field on Friday night, and impressed there also. Be sure to check them out. I was going to ask the same thing. I saw some videos on YouTube over the last few years and he sadly sounded pretty terrible, but then when I caught him live two different times more recently he was fantastic in person. I always take care of my brothers and sisters! View the attached link from a current concert on YouTube that will give you a good feel of how they sound now. Smaller venue so no pyro, etc. but great editing and sound. Saw them last night at an outside venue. Amazing show. 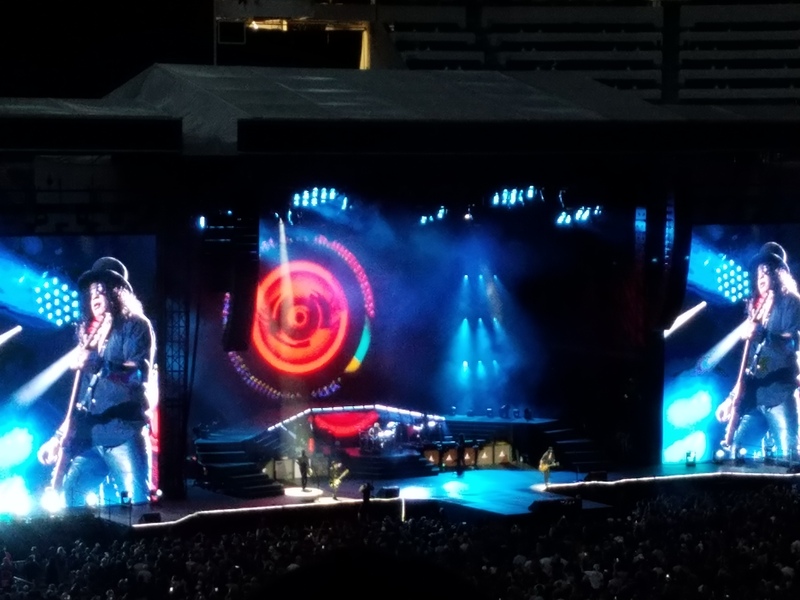 Slash mastered his guitar as usual, and Axle was very good, but age has caught up to him, and after 3:15, you could hear there was a little something missing. Great nonetheless. They also allowed themselves a few covers, Sound Garden, AC/DC, The Who and Pink Floyd. It was great show, and certainly better than the last time they were here. Back in '92, after a 2 hour wait, Axel decided he had enough after only 20 mins into the show, and just left. I left just in time to avoid the riots that were breaking out around us. He referenced the event during the show last night, but they certainly gave a show to be forgiven....25 years later.